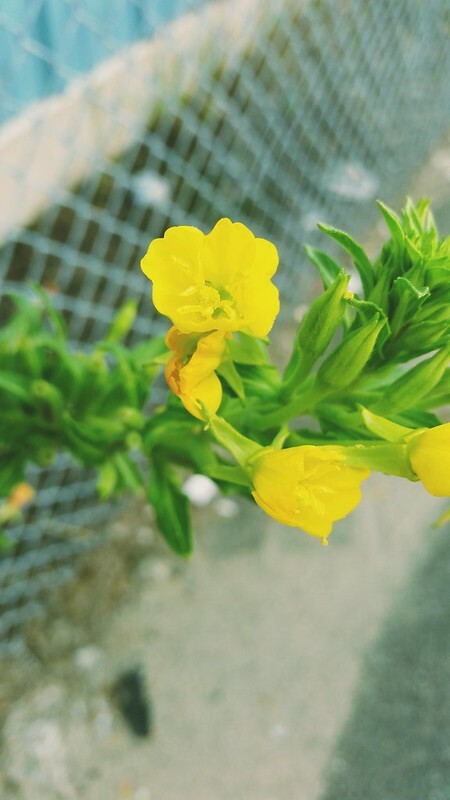 A yellow flower sticking out from the side of a fence along the sidewalk. So I wouldn't call where I took this a junkyard by any means, but the name just sort of worked. It was is an area along the street that is largely industrialized and mostly warehouses, so the idea of this vibrant yellow flower emerging from it (among others that were there) makes an interesting visual. In this photo, I like the strong focus on the blossoming flower and the other buds, while everything else is out of focus. In a way, it says the background is just noise to its own and prosperity. The filter also helped to draw out the green and yellow, making it pop to the viewer's eyes.